At Thunder Commando Security Service, we are providing excellent placement services to the companies across Bangalore (Karnataka, India). Owing to our years of experience in this field, we are capable of providing both domestic placement as well as overseas placement. As placement consultants, our motive is to bridge the gap between the companies and the job seekers. 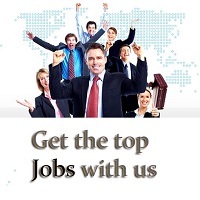 We match the qualifications of the job seekers with the job vacancies in several companies. In this way, our services cater to both the parties efficiently. So, contact us now.